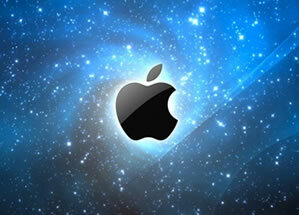 Taiwan-based companies that are part of the supply chain for the Apple iPhone 5 and the Apple iPad 3 have begun to prepare materials for the production of the two devices. Apple plans to launch just one new iPhone model this time. Meanwhile, the iPad 3 has just recently been added to the production schedule. Both will be produced in small volumes in August, with units ramping up in September and October, according to industry sources cited by DigiTimes. Most market watchers have estimated that Apple's iPhone supply volume will only reach 20 million units in the third quarter and iPad's supply volume will only be at around 11 million to 12 million units due to the slower-than-expected progress at Foxconn's assembly line in Chengdu, China. Apple's upstream supply chain players have, however, recently increased their estimated supply volumes for the second half of the year, indicating that Apple is hoping to push out with another wave of new devices. They expect total iPhone shipments in the third quarter to reach 24 million to 25 million units (including around 6 million to 7 million units of the iPhone 5) with volumes to maintain at the same level in the fourth quarter. They expect iPad shipments for 2011 to break 40 million units (thanks to the new iPad 3). We've known for a while that the iPhone 5 will arrive later this year, but the iPad 3 has only been vaguely rumored to be coming sooner than most would think. It will supposedly be even thinner and lighter, with a panel resolution increased to 250dpi.